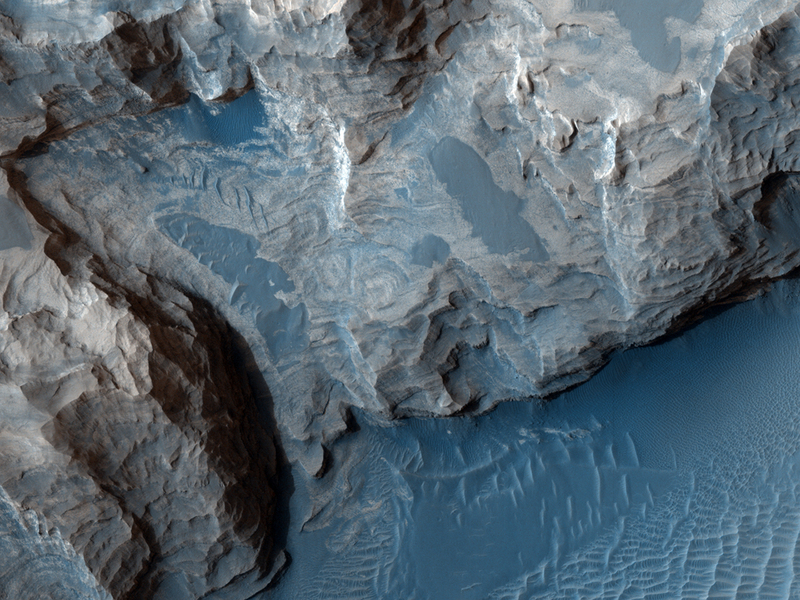 This image shows layered sedimentary rocks and ripples that fill and surround an impact crater in Meridiani Planum. These layered deposits may have formed through the accumulation of sediment that were transported into this crater by blowing wind or flowing water. The crater interior contains a sequence of layers that are remnants of the material that originally filled in the crater. These sediments form an extensive deposit that once covered the floor of the surrounding region. This is a stereo pair with ESP_011910_1825.